HomeDrone newsMaster Your Piloting Skills: How to Get the Best Photos with Your Mavic? Master Your Piloting Skills: How to Get the Best Photos with Your Mavic? When you buy DJI Mavic Pro online and finally get your order, the only thing you want to do is to test it as soon as possible. This is normal and no one can blame you! 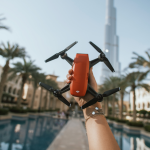 Nevertheless, if you lack experience and Mavic is your first drone, we recommend you to read our below-listed tips for new drone pilots. They will help you fly safely. In previous articles, we also mentioned the tips that help pilots achieve much better results of images when shooting in winter. First, you need to know that the greatest benefit of Mavic Pro is its 4K camera. So, you may think that in any case high-quality images are guaranteed. Nevertheless, before using any device, you need to know how to do this. The below-listed tips will help all types of pilots improve the quality of aerial photography. So, it makes no matter, who you are, an experienced pilot or just an amateur. Our recommendations are for everyone! The first advice refers to the use of Mavic’s 3 axis gimbal and camera. They are precisely engineered and it is recommended not to put it off. For that reason, the drone comes with a protective cover. If your primary target is not recording, you can leave it in place. Nevertheless, if you want to make an amazing footage, you should put it off. Otherwise, a slight blurriness is guaranteed. Besides, it is difficult to achieve the exact focus. So, if your primary target is to get high quality images or video, fly without the cover. The best and the most popular accessories are neutral density filters. These small lenses should be attached to the camera of your drone. When you do it, the drone needs to be turned on. They allow you to add a dramatic effect on all of your recordings. Such filters are irreplaceable for those who prefer flying in bright weather conditions. So, if your overarching goal is to make high-frame-rate videos, ND filters are what you really need. Their primary purpose is to act like intelligent light-reducers. Don’t forget that 4k video takes up more room on your memory card or your computer. So, when you are editing your videos, you will need to take into consideration all these aspects. Yet still, due to the increase in resolution, you can easily crop a lot of your photos (avoiding the necessity to sacrifice various small details). Mostly, beginners don’t pay attention to the settings of a drone. You may leave the auto settings for the white balance and auto exposure. It is much easier to fly. Nevertheless, if you want to achieve much better results, you need to learn how to use the manual settings. As a rule, photographers recommend shooting at a higher rate. Nevertheless, this doesn’t always influence the result of the image. In sober fact, the prime objective of a higher frame rate is to help photographers add more realistic feel to the images. Not all photographers agree with this. Mostly, it is much better to use standard 24 or 25 frames per second. This feature will help your videos look more professional. 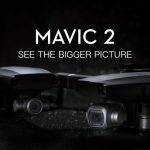 The New Portable Drone from DJI – Mavic Air!